YEAH! WE JUST GAVE A KEYNOTE ABOUT OUR SLOW COMPANY THAT MAXIMISES THE VALUE OF TIME AND NOT THE PROFIT AT THE “SYMPOSIUM OECONOICUM” IN MÜNSTER. How can we use all this nice modern technology, open minded consumers, globalisation, and great outsourcing partners to build a firm that is not maximising profit or market capitalisation but the value of time. The time of everybody who is involved – employees, partners, founder’s, and of course customers. 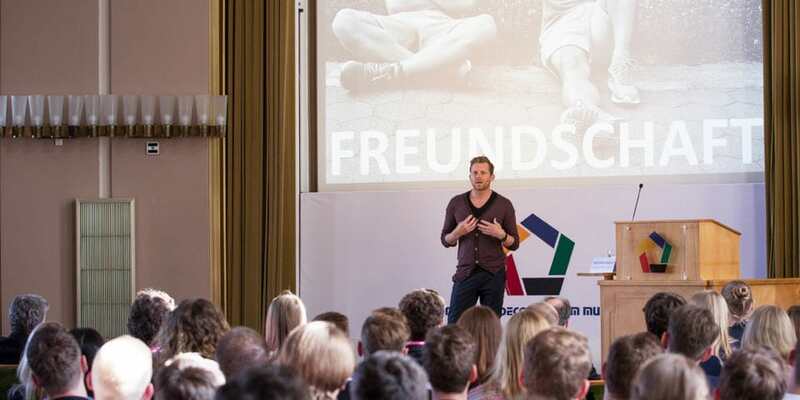 That was exactly the topic of the founder’s keynote at the famous “Symposium Oeconoicum” at Germany’s largest business university in Münster. We were grateful and proud to speak to over 600 Student along side with great personalities as the German Minister of Defense – Dr. Ursula von der Leyen, Christian Lindner as well as CEOs of leading Companies.